What is a Google Map Widget and what is it used for? 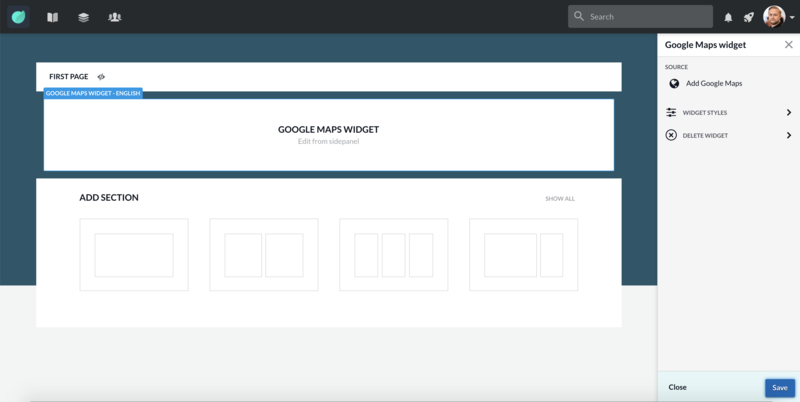 The map Widget uses Google Maps to show you maps in Pages. To use maps widgets you need to get the Google Maps url and input it to the source box. Add Google maps url: Search for the Google maps view you would like. Copy this URL and paste it into Happeo. Why am I seeing an error? If you are seeing an error message, this means that a map source cannot be found from the given URL. Please check that the URL is correct. If you have a specific iFrame URL that you want to use, please use the iFrame Widget to display the map.